The Need Series by Carrie Jones is a very captivating set of books. I love the Pixies aspect of them, and they kind of remind me of the nastier side of the fae. These books have made me do something that I never do, change my chosen "side" in a love triangle. I'm the type of person who picks one love interest from the very start and that is who it stays until the bitter end no matter what. So these books really caught me off guard, which really isn't a bad thing. It's always good to shake things up from time to time. I also read a debut novel called Spellbound. It deals with reincarnation and soul mates. It was a pretty good read, with a few flaws, but definitely still worth checking out. I know I'll be watching out for more books from this author in the future. Looks good! There really is just too many books and not enough time to read them all and get everyday life stuff done too! I've become such a hermit lately! Excellent! I am dying to read the Need series - it just looks so good. And Spellbound has been on my TBR list for a *long* time! 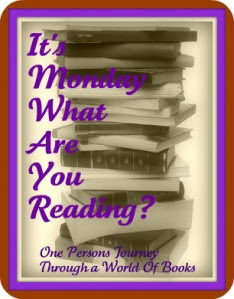 I hope you have a great week with lots of reading! Captivate and Entice look really good!